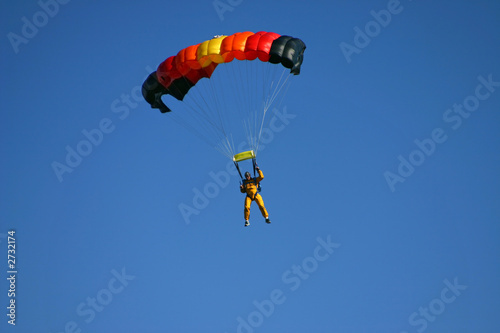 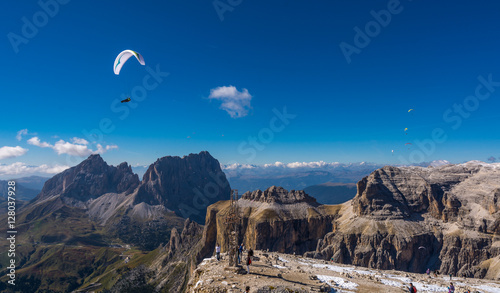 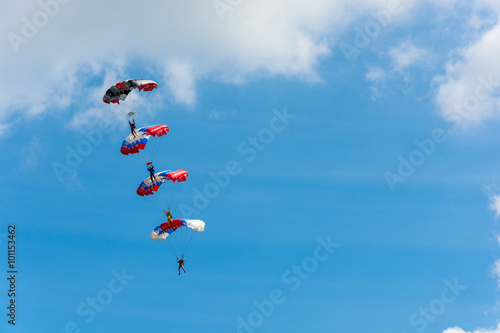 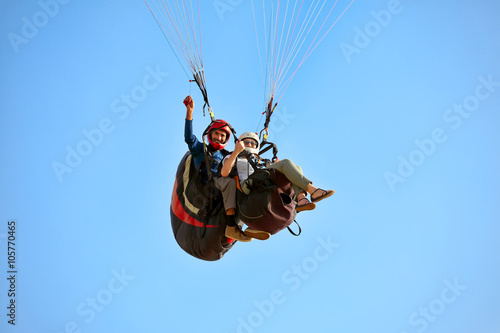 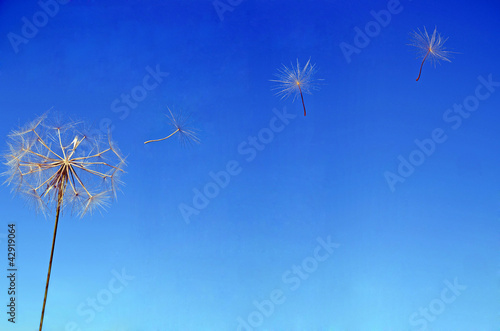 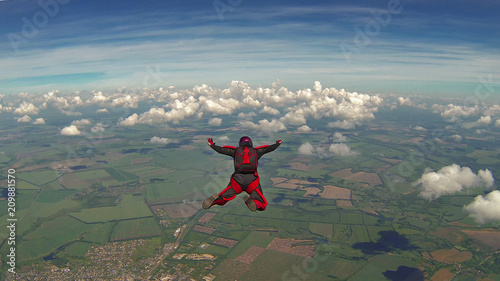 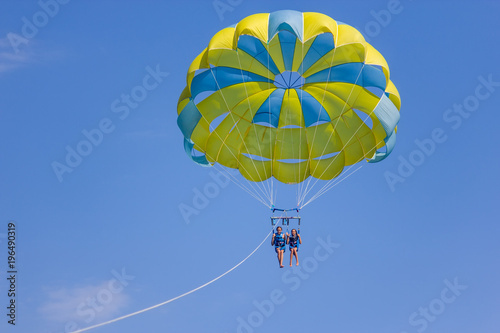 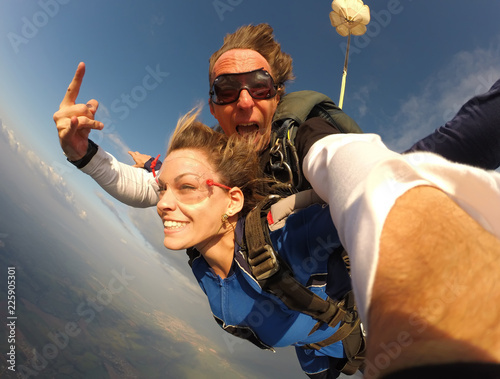 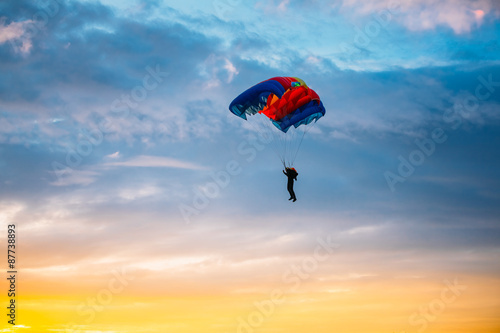 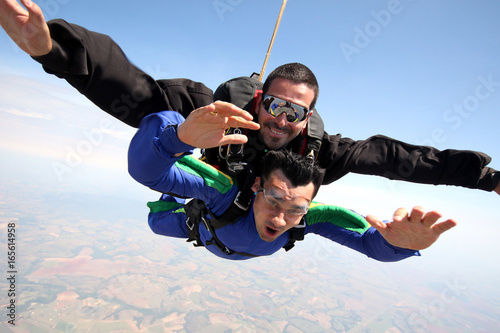 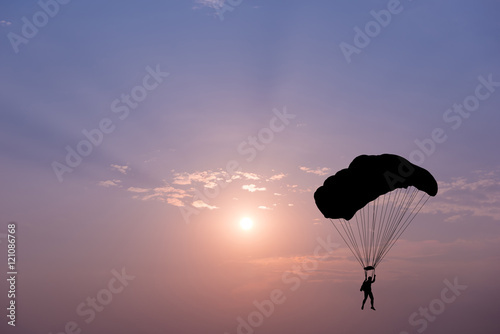 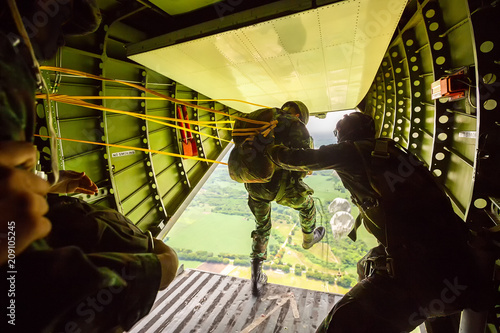 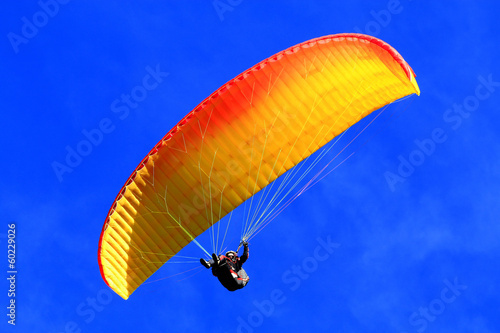 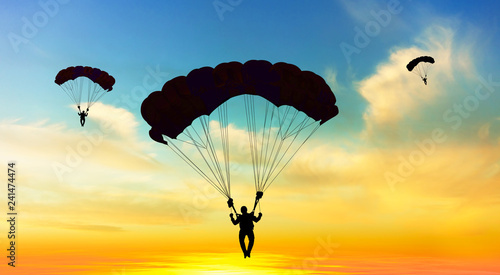 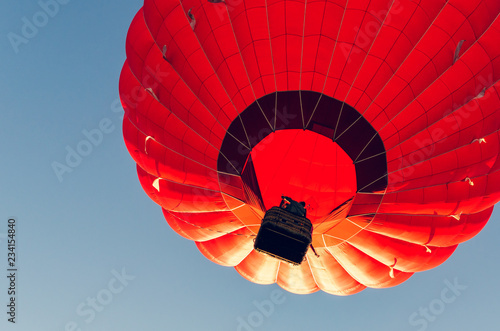 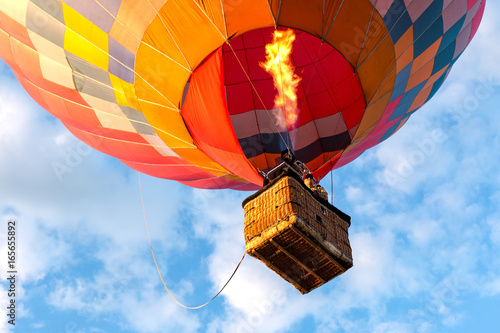 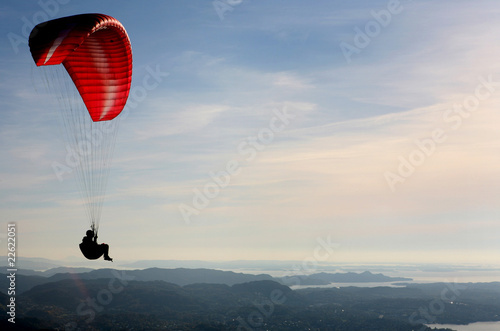 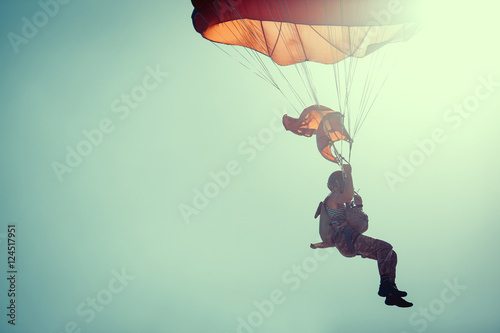 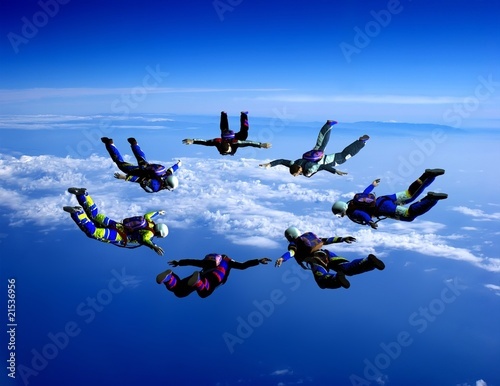 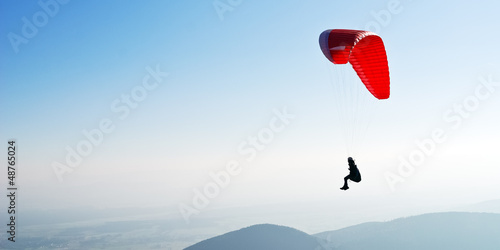 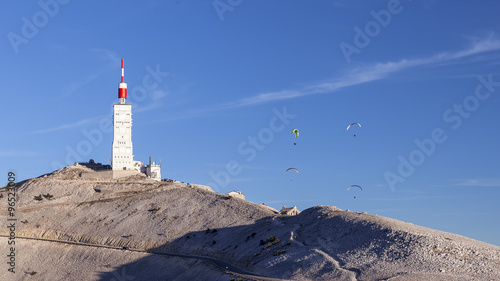 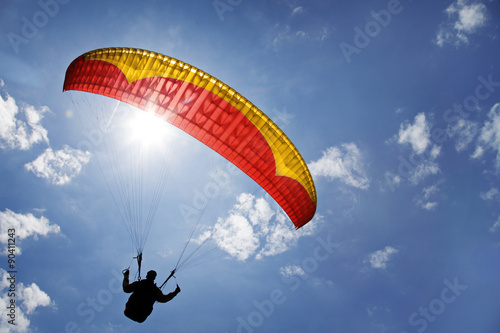 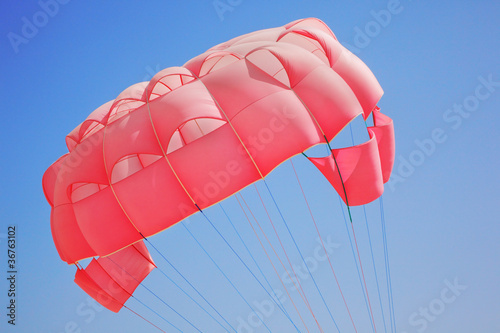 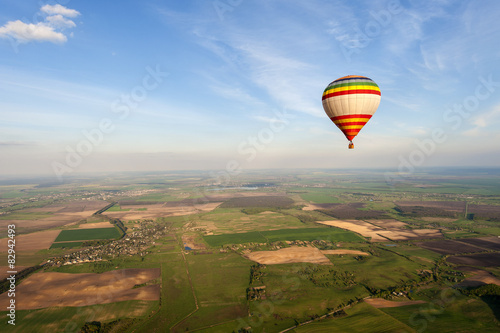 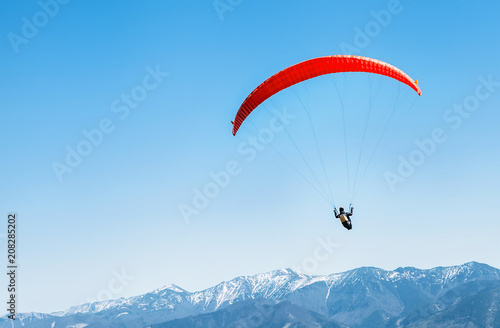 Skydiver On Colorful Parachute In Sunny Clear Sky. 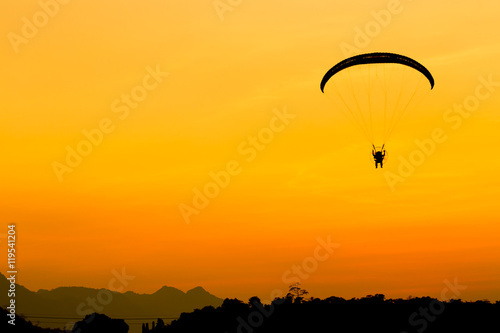 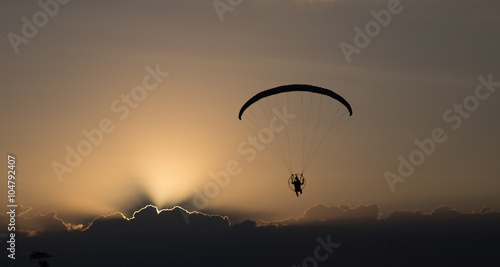 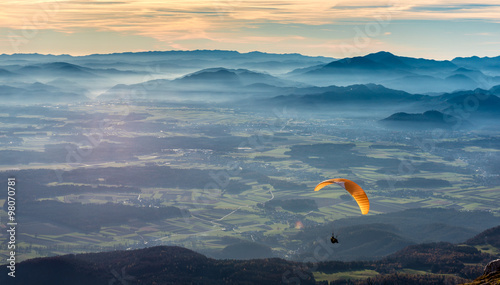 Silhouette paramotor / paraglider flying on sky. 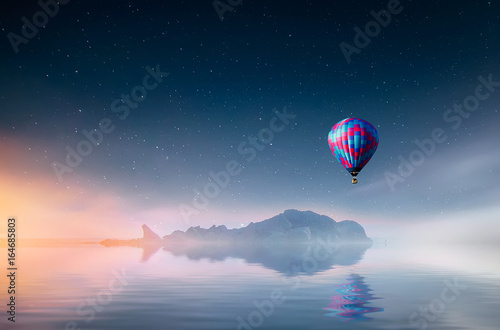 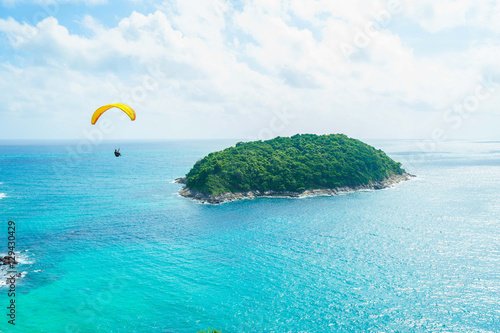 Skydiver flying over the water with island. 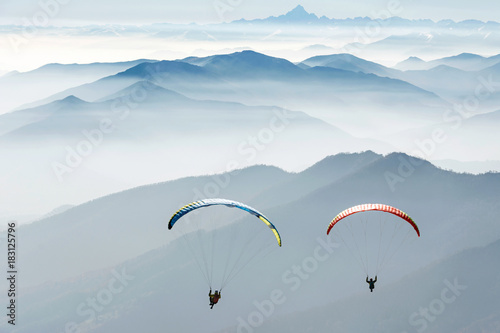 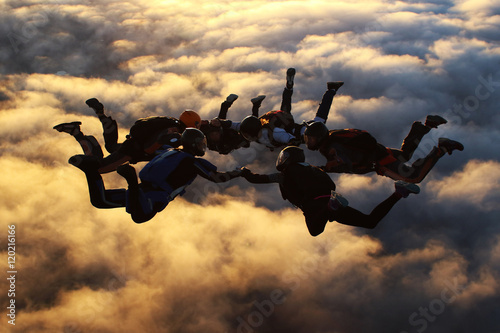 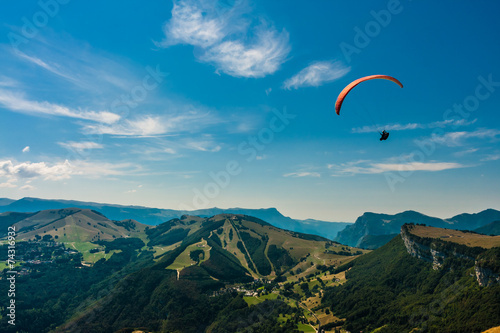 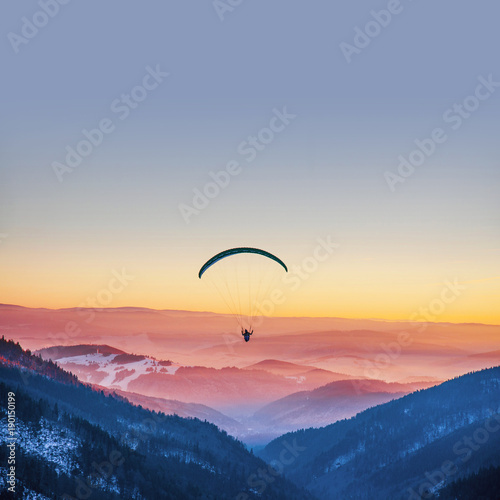 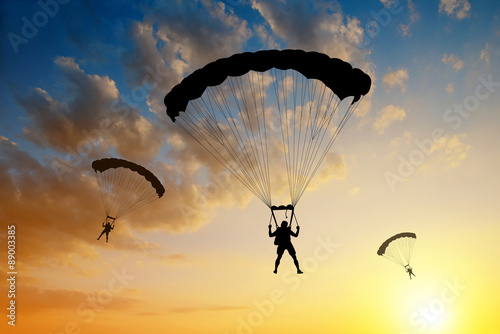 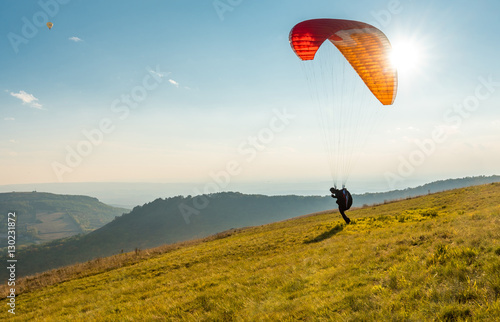 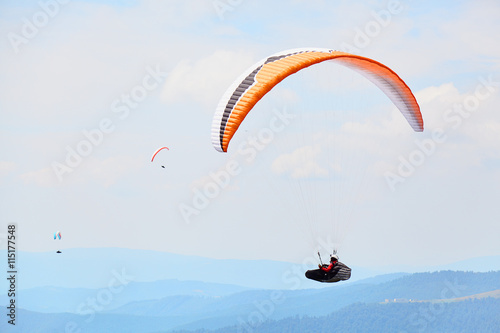 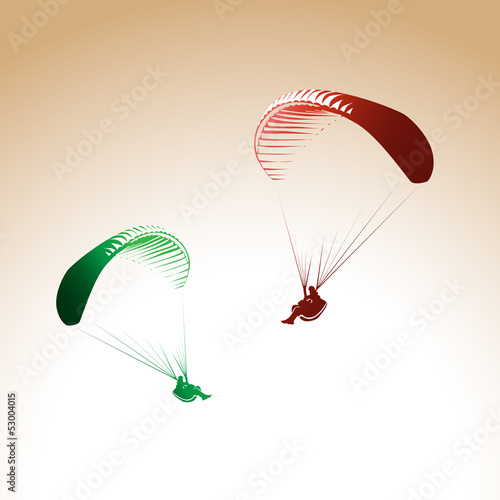 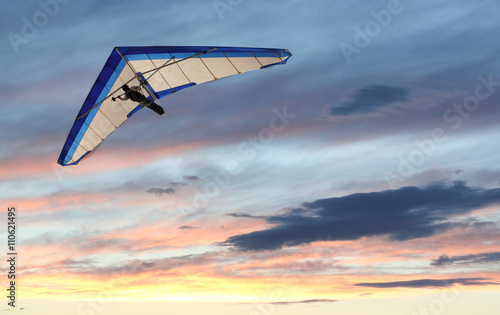 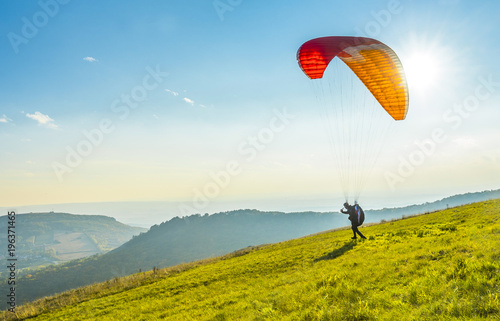 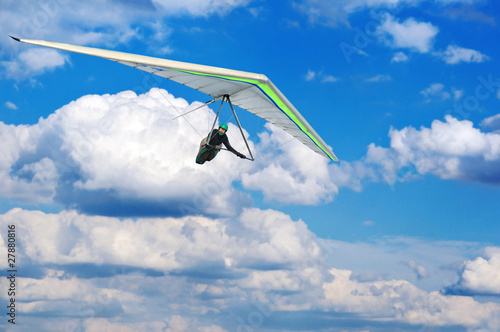 Paragliding concept.